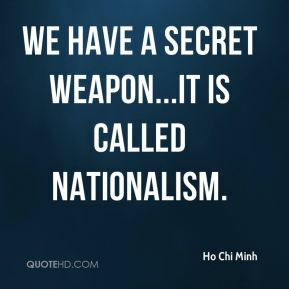 We have a secret weapon...it is called Nationalism. 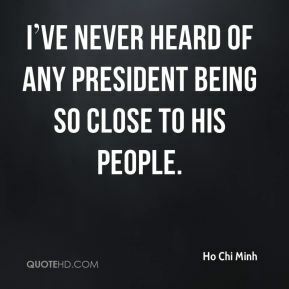 Ive never heard of any president being so close to his people. 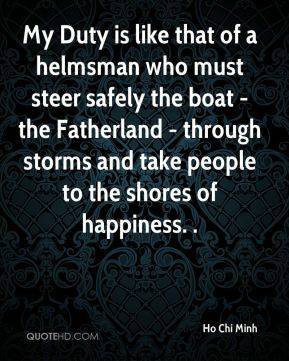 My Duty is like that of a helmsman who must steer safely the boat - the Fatherland - through storms and take people to the shores of happiness. . 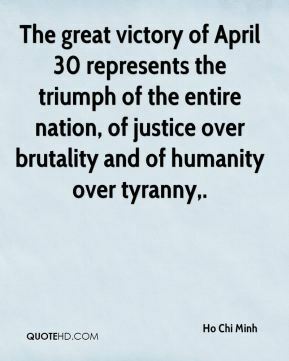 The great victory of April 30 represents the triumph of the entire nation, of justice over brutality and of humanity over tyranny. 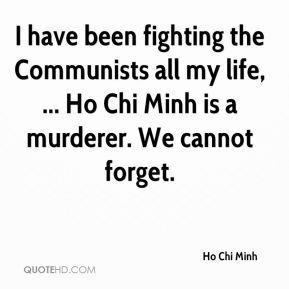 I have been fighting the Communists all my life, ... Ho Chi Minh is a murderer. We cannot forget. 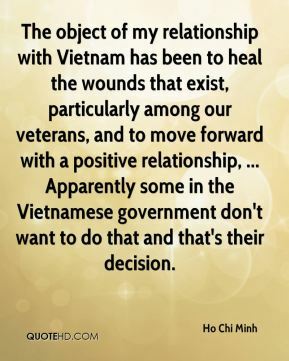 The object of my relationship with Vietnam has been to heal the wounds that exist, particularly among our veterans, and to move forward with a positive relationship, ... 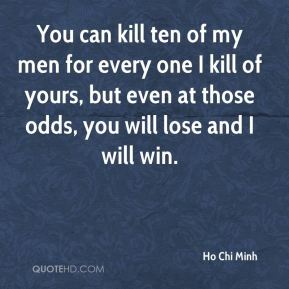 Apparently some in the Vietnamese government don't want to do that and that's their decision. 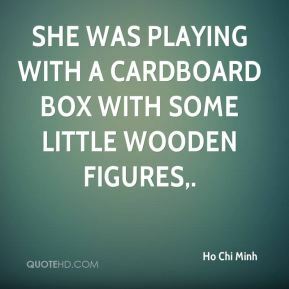 She was playing with a cardboard box with some little wooden figures. 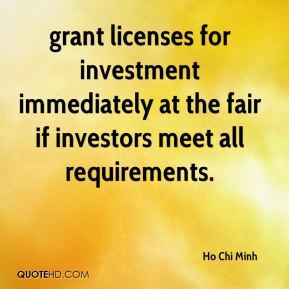 grant licenses for investment immediately at the fair if investors meet all requirements.